SHAH ALAM: Defence Minister Mohamad Sabu says he is ready to disclose the findings of the special governance, procurement and finance investigation committee on the purchase of dubious assets by the ministry during the previous government’s administration at the Dewan Rakyat this March. He said, however, he would only do so if asked by MPs. “We have nothing to hide…if asked in Parliament I would answer any such question (pertaining to the report),” he said in a press conference here yesterday. 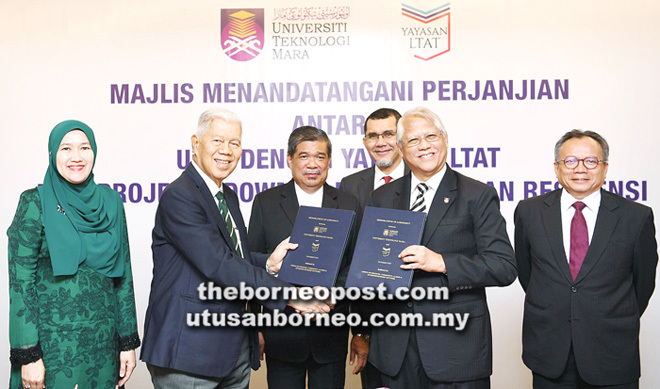 Earlier, he witnessed the signing of an agreement between Universiti Teknologi Mara (UiTM) and the Armed Forces Fund Board Foundation (LTAT) for the residency development endowment project at UiTM Puncak Alam. According to Mohamad, the second report prepared by the investigation committee chaired by former auditor-general of Malaysia Ambrin Buang will be handed over to him before the end of this month. Mohamad was previously quoted as saying that the report would only be disclosed to the public after his ministry received the second report from the committee set up by the Pakatan Harapan Government on May 30 last year. On May 22 last year, Mohamad had promised to investigate allegations of scandals associated with the Ministry of Defence.